The finest 2008 Barolos are utterly magnificent, profound wines that represent a new paradigm for Italy’s most famous and collectible red. Simply put, today’s Barolos no longer require decades of cellaring to deliver the fireworks that make Nebbiolo such a singular grape. The late harvest yielded a set of beautifully perfumed, sensual wines that are all about finesse. I was thrilled to lead this intimate tasting at Pebble Beach Food & Wine in April 2014. For the occasion, I chose eight reference-point Barolos covering all styles - from super-classic to modern. Emily Wines, Shayne Bjornholm and Jay James, a formidable trio of Master Sommeliers, joined me on the panel and were incredibly generous in sharing their views with the audience. For more information on the wines, readers might enjoy this short video I shot just before the tasting. 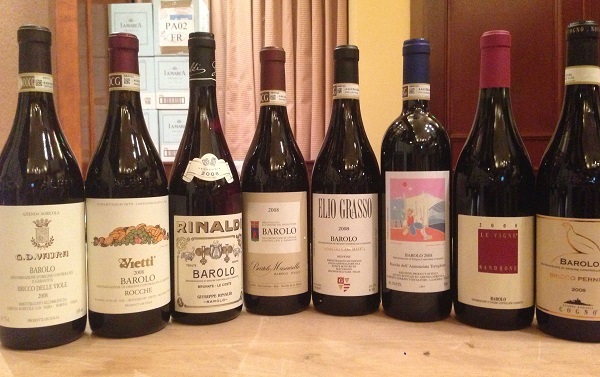 A comprehensive overview of the vintage is available in 2008 Barolo: The Incredible Lightness of Being. Lastly, our Interactive Barolo Map is the perfect companion with which to explore the vineyards mentioned in the video and the tasting notes that accompany this article.